Domestic workers are paid a wage to assume a range of “gendered” family responsibilities in private homes. The home is the workplace. Yet the work that domestic workers undertake does not correspond to what is generally thought of as the “labour market” and reflects a dichotomy between work and family. Domestic workers may cook, clean, take care of children, the elderly, the disabled, or even domestic animals – tasks that may not be closely defined at the outset and may vary widely over time. The terms themselves are vague, and “taking care” of a child may range from babysitting to assuming primary responsibility for their education. These forms of work tend to be performed by men. As a whole, domestic work is undervalued in monetary terms. Almost by definition the wages of domestic workers are less than their employers earn on the labour market, unless the work is unpaid labour in the household – which may include the care of children and elderly family members that is traditionally provided by women. A concrete illustration of how domestic work has been treated differently is the strong historical tendency to remunerate domestic workers by payments in kind. For live-in domestic workers, food and lodging has always been looked upon as a form of such in-kind remuneration. There is evidence, too, of wage discrimination on grounds of gender and nationality among domestic workers. In some regions, certain nationalities seem to be better remunerated than others, irrespective of education, competence or experience. In Malaysia, for example, Filipino domestic workers are reported to receive higher wages than Indonesian workers, while in Jordan they receive higher remuneration than Sri Lankan and Ethiopian nationals. Non-payment or late payment of wages is also common. Domestic workers may not be paid until the end of their period of service. 90% domestic workers in India are women, girls or children ranging from ages 12 to 75 and it is estimated that 25% are below the age of 14. Domestic workers take on the job due to unsteady domestic circumstances at their own households, e.g. male and rural employment, sole breadwinner of the family, abusive or alcoholic husbands, etc. The overall claim to the reason of work is the adverse conditions of poverty and the failure of the government to eradicate or make the situation better, but whatever may be the factors that lead the women to the job, it is the age-old patriarchal and societal systems in India that regard the work as menial and downgrade. As a result of which, it draws the poorest of remuneration. These workers have no benefits of work contracts, social security, security of employment, wage raises, paid leave or medical facilities. As a result many of the women are subjected to humiliation, abuse (physical, verbal and sexual) and exploitation. This situation of work has lowered the self-esteem of the women, making them insecure and submissive. When no Labor laws cover Domestic Workers and they are not recognized as workers, they do not enjoy legal protection, rights and dignity. Hence domestic work is reduced to nothing but a contemporary form of slavery. 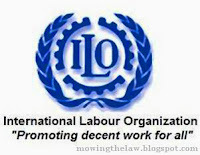 The United Nations and the International Labour Organisation have endorsed this issue as a concern for action. From 1996, the Movement has linked with Migrant Forum of Asia, Antislavery International, International Labour Organisation, UN Human rights, GAATW and UNIFEM and UNICEF. Together we share our experiences and collaborate in joint efforts towards establishing a decent work environment and recognition of labour for all domestic workers which may extend to a number of years, and deductions can be made for damage caused by domestic workers in the course of their work or as a form of controlled step. Ø Deepening Poverty, failure of government programmers to make an impact on poverty reduction and the adverse impact of globalization has further impoverished the poor. Ø Family problems: rural and male unemployment, disputes, ill-treatment, loss of parent/s. Ø Natural Calamities and poor rehabilitation of victims displaced due to natural disasters like earthquake, floods, drought, etc. Ø Biased religious and cultural practices that go against women and children. Ø Porous borders and weak law enforcement in the border areas. Ø Ever increasing debt burden due to failing crops. Ø Often Domestic Workers are single parents, widowed, estranged or with alcoholic husbands. They require working for the survival of their children. The widely reported cases of abuse of domestic workers are of special concern to the ILO. Live-in and migrant domestic workers are particularly vulnerable to various forms of mistreatment at the workplace, which in the worst cases have led to their death. Verbal abuse such as shouting, insulting the employee’s race and using inappropriate language, is frequently reported. Physical abuse of various kinds has also been identified, which in some instances is carried out with impunity in front of third parties in order to humiliate the worker or exact submission. Sexual harassment and abuse also appear to be prevalent and this, like all abuse, can have serious long-term repercussions of the domestic workers’ health, especially when the victims are young girls. It is the aim of this report to address domestic work in all its multiple forms; indeed, a key conclusion of its survey of domestic work around the world is that it is not a uniform phenomenon. Another conclusion relates to its specific nature. Generally speaking, domestic workers are not male breadwinners but overwhelmingly women. Their work does not constitute a “productive” labour market activity, but rather what Adam Smith initially referred to as “non-productive” personal care services. Yet the same domestic services are treated differently when regulated outside the home and when performed within the household. There is no fundamental distinction between work in the home and work beyond it, and no simple definition of public–private, home–workplace and employer–employee. Caring for children and the disabled or elderly persons in the home or in a public institution is all part of the same regulatory spectrum, wherein a range of migration and other policies shape both the supply of and the demand for care services. As they often have no clear status under modern labour legislation, domestic workers tend to be excluded de facto from formal regulations and their enforcement. This is not to imply that their working lives necessarily lack structure and regulatory control. On the contrary, their lives and work are regulated by strong non-state norms regarding work in the employer’s household, which vary significantly from one cultural context to the next but which result in domestic workers being among the most marginalized workers and for whom decent work is often a distant aspiration. Regulating domestic work therefore means addressing individual employers, placement agencies and care recipients, as well as the countries that supply domestic workers and those that receive them. Standard setting must take into account this spectrum of actors and policies if the ILO is to fulfill its mandate of promoting decent work for all. Mere tinkering with informal rules in formal legislation is not enough. Domestic work calls for laws that can bring about decent work and social protection. That said, legislative gains for domestic workers can also be very precarious, and a complementary mix of carrots and sticks – capacity building for domestic workers, implementation incentives for employers and robust enforcement by governments is needed if the objective is to be achieved. Domestic work in the contemporary global economy therefore poses a particularly significant challenge for national regulators. It also offers one of the greatest opportunities to reaffirm the importance of international standard setting and technical cooperation for a constituency that is at once central to the work of the ILO, central to the global economy and central to the mandate of promoting decent work for all. State legislation including domestic workers may well be a better option than the creation of a Bill specifically catering to the workers themselves, according to some experts in the field. Enacting new legislation can be a slow and complicated process in India. Last year, letters from the ministry of labour to the states recommended that they extend policies such as the minimum wages Act to domestic workers and to register the “placement agencies” that link employers with household staff under the Shops and Establishments Act to ensure that there is no exploitation. It is believed that along with the new rights comes a new confidence on the part of workers to band together, unionize and negotiate with employers. Thereby if that domestic work gets recognition as proper labour market activity, it will make their status visible and workers engaging in labour market activities can no longer be denied fundamental labour rights. Rationally, it will be more useful if the government includes domestic workers in the social security net of the RSBY (Rashtriya Swastthya Bima Yojna). Under the scheme, up to four members of the family will have hospital access. Funds from the national social security fund for unorganized workers will be channeled along with money from the Centre and state governments to provide the beneficiaries with identification certificates from the employer, resident welfare association, registered trade union or the police. Ø The Central government amended the Central Civil Service Conduct rules to prohibit any government official/civil servants from employing children below the age of 14 years as domestic workers. Ø Indian law prohibits the employment of children below 14 years age, in certain occupations in accordance to the Child Labour (Prohibition & Regulation) Act 1986. By 10th October 2006, the ban on child labour included employment of children in domestic work. 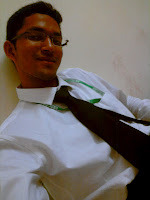 Ø The Kerala government has included Domestic Workers into the Schedule of employment. The final notification for the Minimum Wage Act for Domestic Workers came through on 23rd May 2005.The government has introduced Domestic Workers as members to the Kerala Artisan and Skilled Workers’ Welfare Fund, thereby allowing Domestic Workers to avail of Social Security Schemes. The Kerala arm of the National Domestic Workers’ Movement has been appointed to issue Labour Certificates for the Fund to the Domestic Workers. The Kerala government has also registered the domestic workers of the Kerala Domestic Workers; Movement as a Trade union on November 2008. Ø The Andhra Pradesh Government has issued on 10th December 2007, the final notification for the fixing of the Minimum Wages in the employment of Domestic Workers in Part-I of the Schedule of the Minimum Wages Act, 1948. Ø Preliminary notification for Minimum Wage Act for Domestic Workers were passed in the following State governments: Rajasthan (4th July 2007) and Bihar (2006) . Ø The Unorganized Sector Workers’ Social Security Bill, 2007 has been passed on 8th January 2008. This Bill also includes domestic workers in the unorganized sector of workers. Ø Domestic Workers have been guided to avail of several welfare and social security options like life insurance, health/medical insurance, ration cards and pension plans. The existence of a gap between the formal legal entitlements of domestic workers and their treatment in practice has frequently been recognized even in the in the work of the ILO. In a review of a project on forced domestic work in Asia, it was suggested that a more rights-based approach would have been an advantage. The project, it was suggested, could have more firmly focused on empowering domestic workers to know and claim their rights, and on encouraging duty-bearers such as ministries, the police and recruitment agents to fulfil their obligations. This kind of insight has been incorporated into other projects that have attempted to improve the legal protection of domestic workers through awareness-raising, advice and assistance and institutional reform. The problem to whether or not including domestic Workers in the ambit of Labour Law still persists in Indian Legal system and acknowledging the recent trends it would be prudent to enact a legislation including Domestic workers in the ambit of Labour Law for a better and efficient management of Labors as a general in India. globalization of domestic work, 16th–21st centuries (Bern, Peter Lang, 2004). Research, Karachi (Geneva, Mar. 2004). Labor Studies Journal (2002), Vol. 27, No. 1, p. 23. M. Díaz Gorfinkiel, op. cit., p. 25. ILO: Gender and migration in Arab states, The case of domestic workers (Beirut, 2004), p. 18. Migration No. 2 (Geneva, 2002), p. 23. M. Díaz Gorfinkiel, op. cit., p. 24. Oxford University Press, 2007), p. 4. New rights for domestic workers, recent decisions by the government mark a breakthrough, but implementation will be complicated say experts- The Wall street Journal.